Anicca in Buddhism means impermanence. It is the Pali version of Sanskrit Anitya. The world in which we live is called the phenomenal world. It is a mortal world in which beings are subjected to the cycle of births and deaths, which is known in the Indian religious traditions as Samsara. Suffering is the characteristic feature of those who are caught in this cycle. Their suffering arises because they are subject to desires, which leads to attachment and from which arises attraction and aversion. Beings suffer when they are brought into contact with the things they are averse to or when they are separated from the things to which they are attached. This union and aversion to the phenomena arising from attachment and desires is responsible for our suffering. The problem of suffering is acute and a serious problem in our world, because all things here are subject to impermanence and there is no simple way to escape from it. Early Buddhism dealt with the problem of impermanence in a very rationale manner. The Buddha noted that impermanence was inherent in human existence. He recognized three forms of Anicca or impermanence, namely compounded, constructed, or fabricated. They pointed to an undeniable and inescapable fact of human existence from which nothing on earth was ever free. Closely associated with the concept of Anicca, is the concept of Anatta or non-existence of eternal Self. The Buddha suggested that each being was an aggregate of impermanent things. There was nothing like an eternal Self to which beings could cling to escape from impermanence or in which they could find a sanctuary. 5. The passing away of that which is liable to pass. None can escape from these five aspects of impermanence until one achieves liberation or Nirvana on the Eightfold Path, practicing right living and cultivating right attitude and awareness. In the normal course of their existence, we may not be able to escape from impermanence, but we can learn to cope with it by understanding its implications and development sameness and equanimity through detachment. Hinduism also believes in the impermanent nature of life. But it deals with this problem differently. According to Hinduism, a human being has both permanent and impermanent aspects. As long as he gets involved with impermanent things, he is subject to suffering and rebirth, but when turns his attention to the permanent aspect, which is hidden within him, he opens a new door of possibilities for himself to overcome impermanence and achieve liberation. Thus, Hinduism suggests that impermanence can be overcome by locating and uniting with the center of permanence that exists within oneself. This center is the Soul or the self that is immortal, permanent and ever stable. In Hinduism, Atman is the fundamental truth that exists in every being, while at the microcosmic level it is Brahman who is the fundamental and supreme truth of all existence. He who realizes Atman verily becomes Brahman and attains immortality. The Buddha differed radically with the solution suggested in the Vedas to overcome impermanence. He departed radically from the established beliefs regarding Self. For him the most immediate and pressing problem of human existence was impermanence and it needed to be addressed directly, without indulging in speculative theories regarding the Self and eternal existence. What was apparent and verifiable about our existence was the continuous change one underwent and unless it was resolved in a meaningful way there was no escape from suffering. Thus teachings of the Buddha declare that in this world there is nothing that is fixed and permanent. Since every thing is subject to change, decay is inherent in all component things, and existence remains forever in a flux, or a continuous becoming, like a flowing river. A river may appear as the same to the naked eye, but in reality it is never the same. So is life. It is a progressive moment, a successive series of different moments, joining together to give the impression of one continuous flow. It moves from cause to cause, effect to effect, one point to another, one state of existence to another, giving an outward impression that it is one continuous and unified movement, where as in reality it is not. The river of yesterday is not the same as the river of today. The river of this moment is not going to be the same as the river of the next moment. So does life. It changes continuously, becomes something or the other from moment to moment. A wise person perceives the illusion of continuity in existence. He knows that we are born anew each moment, and live and die each moment. Take for example the life of an individual. It is a fallacy to believe that a person would remain the same during his entire life time. He changes every moment. He thinks and acts differently from situation to situation. Actually, he lives and dies but for a moment, or lives and dies moment by moment, as each moment leads to the next. A person is what he is in the context of the time in which he exists. It is an illusion to believe that the person you have seen just now is the same as the person you are just now seeing or the person whom you are seeing now will be the same as the person you will see after a few moments. Even from a scientific point of view this is true. We know cell divisions take place in each living being continuously. Old cells in our bodies die and yield place continuously to the new ones that are forming. Like the waves in a sea, every moment, many thoughts arise and die in each individual. Psychologically and physically, he is never the same all the time. Technically speaking, no individual is ever composed of the same amount of energy. mental stuff and cellular material all the time. He is subject to change and the change is a continuous movement. Impermanence and change are thus the undeniable truths of our existence. What is real is the existing moment, the present that is a product of the past, or a result of the previous causes and actions. Because of ignorance, an ordinary mind conceives them all to be part of one continuous reality. But in truth they are not. The various stages in the life of a man, the childhood, the adulthood, the old age are not the same at any given time. The child is not the same when he grows up and becomes a young man, nor when the latter turns into an old man. The seed is not the tree, though it produces the tree, and the fruit is also not the tree, though it is produced by the tree. The impermanence of life becomes self-evident to those who are mindful of their inner and outer worlds. Through the practice of mindfulness meditation they arrive at the definitive conclusion that suffering is inevitable for those who are caught in the dualities of attraction and aversion to transient phenomena. Buddhism therefore prescribed mindfulness practice to overcome the negative influence of impermanence. 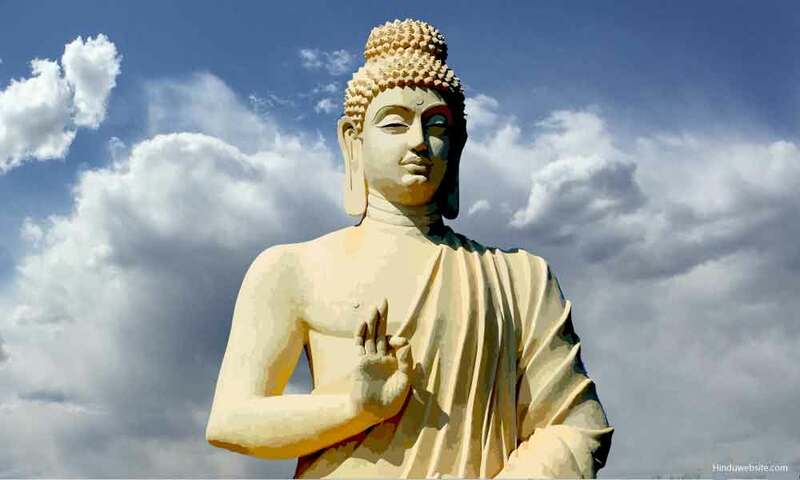 In this regard, of the two methods of mindfulness meditation prescribed by the Buddha, vipasana or vipassana meditation is considered the best. In this meditation, which is also called insightful meditation, you gain insight into the nature of your existence as you pay mindful attention to the impermanence that is inherent in the various aspects of your own personality, namely, your breathing, feelings and sensations, consciousness and the sense-objects or the phenomena. As you become aware of how they appear and disappear like the waves in an ocean, develop "clear seeing" and tranquil awareness (jhana). Impermanence is the nature of our existence. You cannot fight with it or escape from it as long as you are caught in the cycle of births and deaths. You cannot do remove impermanence from existence, but you can gain an insight into working and learn to deal with it by controlling your reactions and attitudes, until you reach a stage where it is no more troublesome for you. It is by becoming aware of it, by observing it and by understanding it, one can find suitable remedy for the sorrow of human life and achieve liberation from the process of Anicca or impermanence.